Jeremy Hickey aka ‘R.S.A.G.’ (Rarely Seen Above Ground) is well known worldwide for his live showmanship and incredible diversity. He is a multi-instrumentalist and singer-songwriter, he performs as a solo drummer on stage and is accompanied by an array of virtual imagery, projected onto a canvas behind him. A shaky but memorable You Tube performance of him at the Cafe Sessions in Cavan, in January of this year, is a spectacular example of his musicianship and innovation. Creating a huge impact in such a small space. Jeremy has performed in many intimate settings like this to large scale festivals and TV shows both here and around the globe. 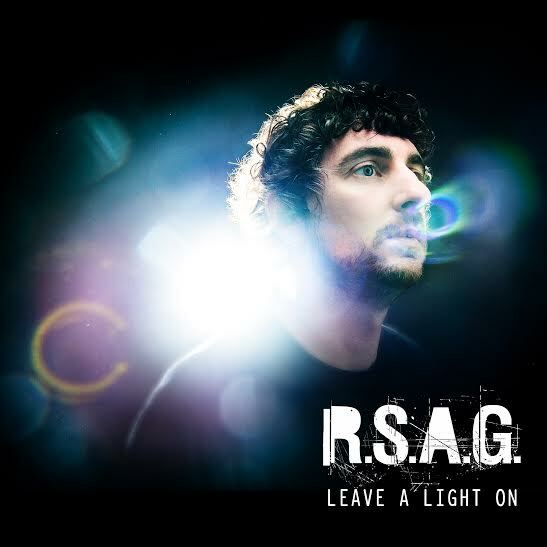 Previous album releases entitled ‘Organic Sampler’, ‘Be It Right Or Wrong’ and his ‘Rotate’ EP have now led him to the impending release of his third album, from which ‘Leave A Light On’ is the first single to be taken from it. The song is a great foot-stomping fresh and energetic piece of work, with a steady rhythm and a controlled vocal from Jeremy. To me it carries a Phil Spector vibe with a modern synth pop twist and a much welcomed brass ensemble. It’s not meant to be the wall of sound, but it’s not over-produced either. It has 80’s reminders too of early Joy Division, New Order and Bronski Beat which to me brings the underlying thread to his vocal and musical arrangement of the track. The lyric is a statement but he’s still kind to the subject matter, there’s poise in his performance not anger. This track on a future live set list definitely won’t disappoint. It’s a perfect feel-good crowd pleasing anthem.